China plans to invest a total of at least 2.8 trillion yuan ($438 billion) in railway construction during the 13th Five-Year Plan period (2016-2020), local media reports said. National railway network will grow by more than 23,000 kms over the next five years, with intercity projects and ones in Midwest regions being priority, China’s Economic Information Daily reported. China’s railway construction has been on a fast track as annual investment surged by 11.3 per cent from 580 billion yuan in 2011 to 800 billion yuan in 2014. During the 12th Five-Year Plan period, China spent a combined 3.47 trillion yuan on newrails, exceeding the original target of 2.8 trillion yuan by far, according to the newspaper. High-speed railway which covered about 16,000 kms in China still remains as one of the key infrastructure projects, according to the 13th Five-Year plans released by local governments. President Xi Jinping has directed the officials to keep the GDP to be around 6.5 per cent in the 13th plan as the economy in the Q-3 slipped below the seven per cent for the first time since 2009 causing uncertainty at home and abroad. China ruled out a major stimulus but has been announcing huge projects to keep up the investment driven growth. 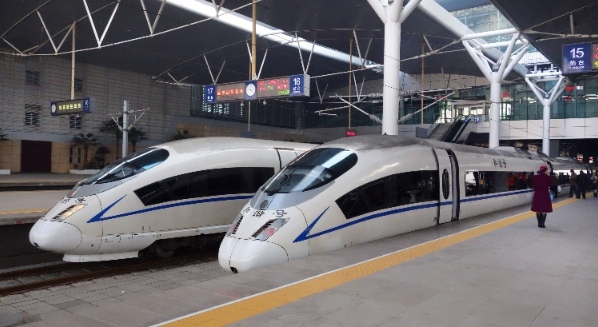 Projects that are expected to be underway include lines from Yinchuan to Lanzhou, Baotou to Xi’an, Chongqing and Guiyang, Datong to Taiyuan and Zhanjiang, and Xiamen to Changshaand Chongqing. Beijing plans to expand its suburb rail lines by 800 kilometers, and urban transits by 900 kilometers, according to 13th Five-Year Plan proposal, state-run China Daily reported. The Belt and Road Initiative will also boost exports of high-speed rail technologies and related products, the report said, adding that China expects rail equipment sales to exceed 650 billion yuan by 2020.